The Australia-India Education Council meeting held recently between Smriti Irani, Minister of Human Resource Development and Christopher Pyne MP, Minister for Education and Training, Government of Australia to make significant progress on mutual recognition of qualification. The bilateral talks held between the two ministers proved to be fruitful for Navodaya Vidyalayas. 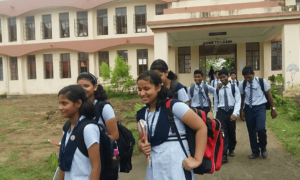 Australia has agreed to include Jawahar Navodaya Vidyalayas (JNVs) in ‘The Australia India Building Regional Intercultural Dialogue and Growing Engagement’ (BRIDGE) programme run by Australian schools in collaboration with Indian Schools. During the delegation level talks, the Australian Minister announced that a few of the Navodaya Vidyalaya would be taken up on a pilot basis for the programme before expanding to other schools. BRIDGE school partnership project, which is currently confined to private schools, will connect Australian and Indian schools and focus on building teacher capability across key learning areas, including science, technology, engineering and mathematics, information and communication technologies, intercultural understanding, values and inclusive education. On the issues raised by Australian Minister about recognition of degrees, Irani informed that the Association of Indian Universities (AIU) under Ministry of Human Resource Development had recognised the qualifications earned by completing part of the course in Australia and part in India. 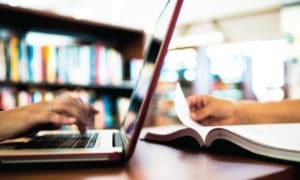 Moreover, the degrees awarded by an Australian Institution in a third country have also been recognised provided that University is recognised under the Australian Education System. On the issues of the Pathways programme, the HRD Minister offered to consider recognition for such programmes if the Australian University agreed to reflect it in the transcript of the main degree. Irani said that the Indian laws for recognition of degrees were based on duration of the programme and inclusion of the transcript of Pathways institution on the main degree awarded by the University will help solve the problems for a number of Indian students, who take up these programmes. The two sides signed a Memorandum of Understanding (MoU) on cooperation in the fields of education, training and research. A Joint Communiqué was also issued at the end of the AIEC meeting. The Communiqué commended the significant progress made by the Working Groups across the key areas of skills, higher education and research, student mobility and welfare, quality assurance and qualifications recognition, and welcomes the extension of collaborative activity to include engagement in the schools sector. It highlights the development of the credit transfer database, hosted on the Australia India education links website (www.australiaindiaeducation.com ), as a practical way to encourage student mobility between Indian and Australian universities. The Communiqué emphasizes that the Global Initiative for Academic Networks (GIAN), launched by the Government of India, would enable academic interaction to mutual benefit. 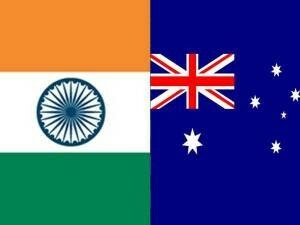 It further says that GIAN would enable eminent Australian academicians to come to India, to academic institutions and Universities and enable an exchange of knowledge and teaching skills, which would help in developing a fruitful relationship between academic communities on both sides for augmenting research capabilities. Both countries agreed for a total joint financial commitment of up to 1.0 million AUD for various activities under Educational Cooperation. Australian Minister also announced Adam Gilchrist as the Australia-India Education Ambassador, who will help project the quality of Australian education and strengthen the bilateral education, training and research relationships.